Above is one of these modules soldered to a 16×2 LCD module. The board has 10k pullup resistors on SDA and SCL, backlight switching and a contrast pot. The board is configurable to one of 8 addresses, 0x20-0x27 using solder shunts. 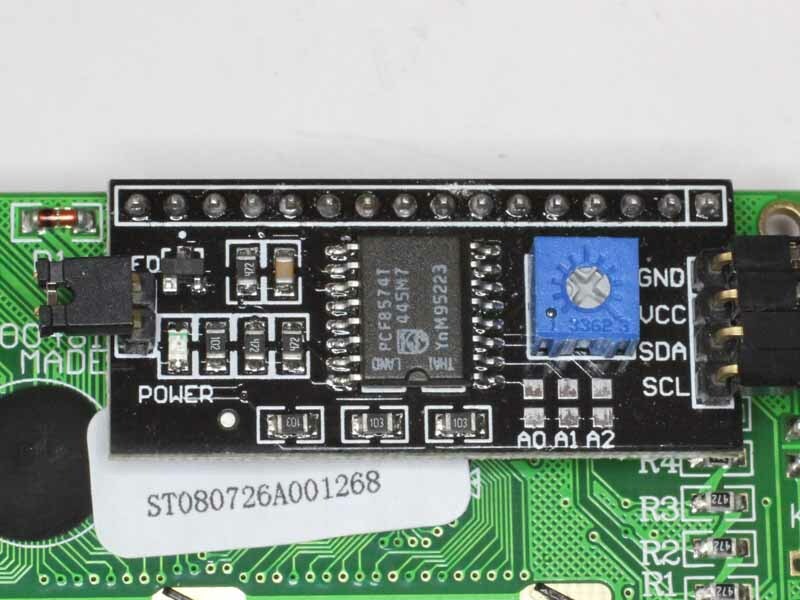 Recommended, works a treat and being I2C can share the SCL and SDA pins with other I2C devices. 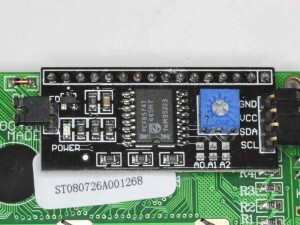 See also I2C – LCD interface.